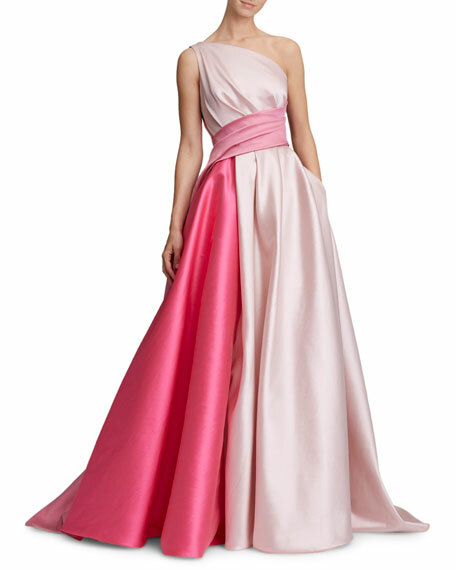 Marchesa ballgown in colorblocked mikado. A great partnership was born when best friends Georgina Chapman and Keren Craig met in college. 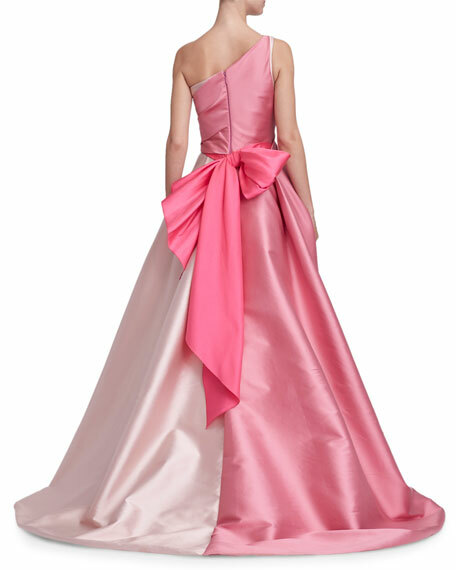 A few years after graduating and working in separate fashion fields, they created Marchesanamed after the eccentric '20s society icon Marchesa Luisa Casati. Their vintage-inspired designs make the line a celebrity and socialite favorite.